Dan Washburn is the managing editor at the Asia Society. His writing has appeared in the FT Weekend Magazine, The Economist, The Atlantic, Foreign Policy, Golf World, Slate and ESPN.com. His work has also been featured in the anthologies Unsavory Elements: Stories of Foreigners on the Loose in China and Inside the Ropes: Sportswriters Get Their Game On. He is also the founding editor of Shanghaiist.com, one of the most widely read English-language websites about China. He received his BA in English-Professional Writing from Elizabethtown College in Pennsylvania. 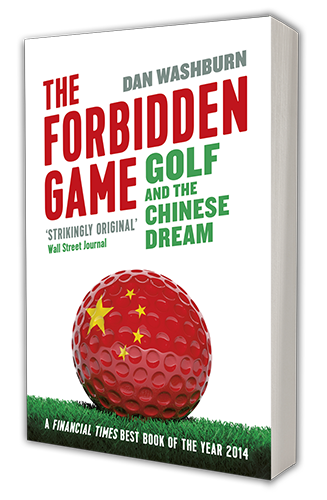 Dan Washburn’s new book, The Forbidden Game: Golf and the Chinese Dream, will be available for purchase and signing after the event.